After baking and cooling my cookies, I set out to decorate the cookies with royal icing. I decided to pipe the elephants in blue, and after the first layer of icing had dried (overnight), I piped on eyes and ears and outlined the elephant for the finishing touches. For the giraffes, I piped them in yellow, and while the icing was still wet I dropped in some brown royal icing for the spots. Then after all that had dried, I piped on the eyes and a yellow outline. 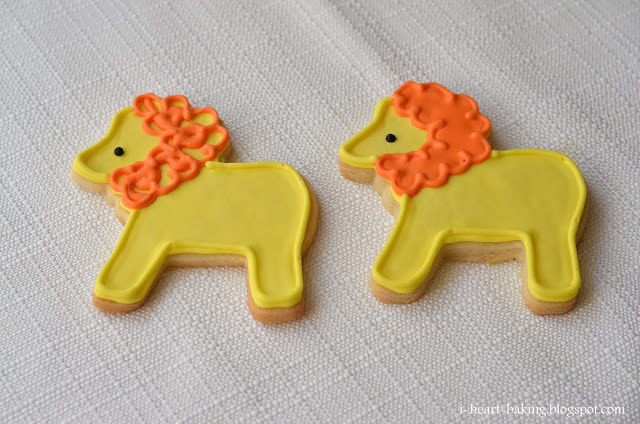 The lions were also piped in yellow, and after they dried overnight I piped on a bright orange mane, eyes, and outlined it in yellow as well. For the mane, I couldn't decide between a curly-Q mane or a solid filled-in mane, so I ended up doing both! I loved all the colors of the final result! Stay tuned for my upcoming post on the carnival cake that I made to go with these cookies! *** Update: The carnival cake post can be found here! Oh, my gosh...these are just the cutest cookies ever! Brava!!! These are just beautiful! I'm so glad that you shared them on Foodbuzz. I buzzed them. How could I not? They are precious. Thank you for sharing, my friend! These are seriously so cute! They came out perfect, I wish I had skills like this. They are so cute! I love cookie baking and so does my little 2 year old. Have I mentioned she is so fascinated by animals? She is! 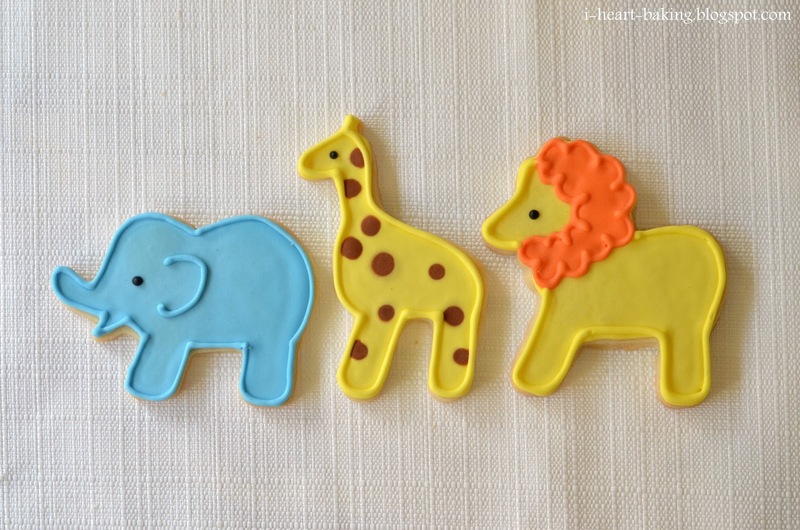 I hope I can find a cookie cutter set just like yours before my daughter's 3rd bday. I would love to have a safari themed party too for her...Thanks for sharing this. 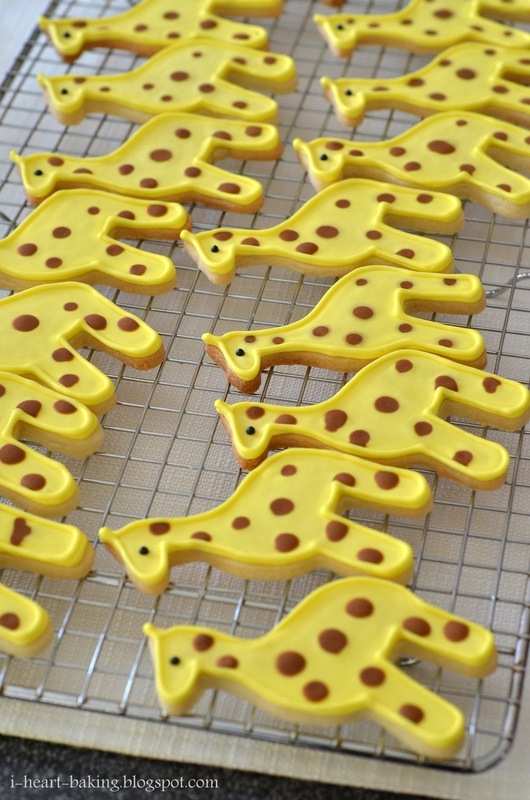 ah, the spots on the giraffes are so perfect. just adorable! Love them! How did you mix brown royal icing? @Irene ting - thanks irene! for brown royal icing i just added a few drops of brown food coloring. 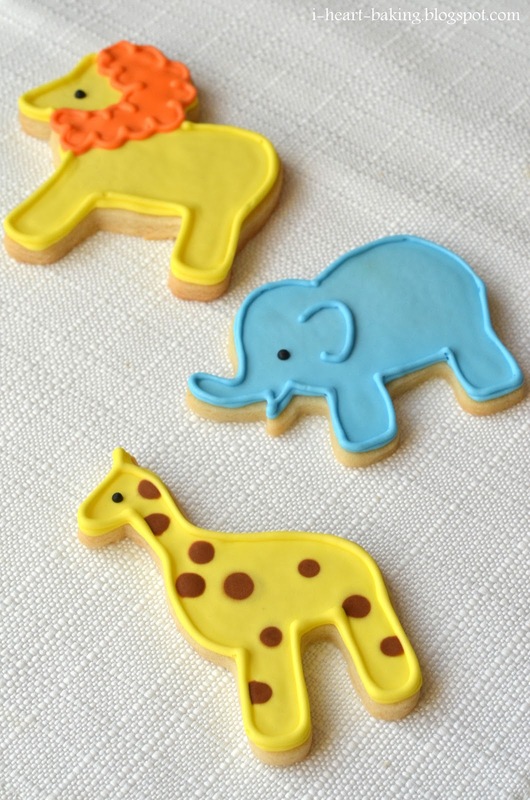 Gorgeous cookies. You are an artiste. Love them! 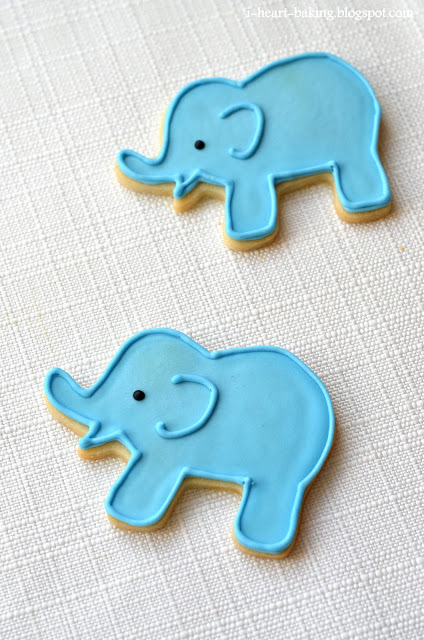 I love the elephant ones.